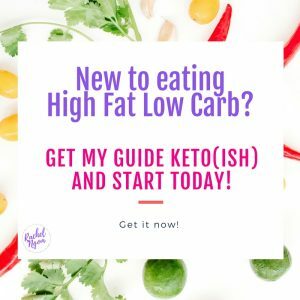 I’ve been eating a high-fat low-carb diet lately, and I’ve gotten SO many questions about eating keto! I even ran a free 5-day keto challenge and some of my ladies lost 10 pounds during the 5 day challenge!!! The results were INSANE!!! 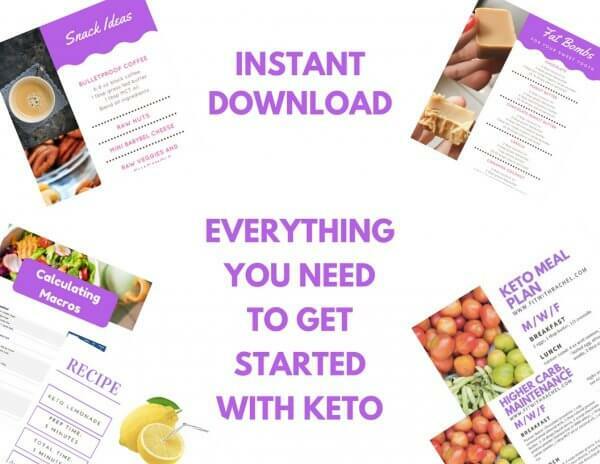 I want to help as many people as possible get started living a healthy lifestyle–and while keto might not be for everyone, I think it’s amazing for those who have struggled with weight loss resistance, binge eating, and hormonal issues. 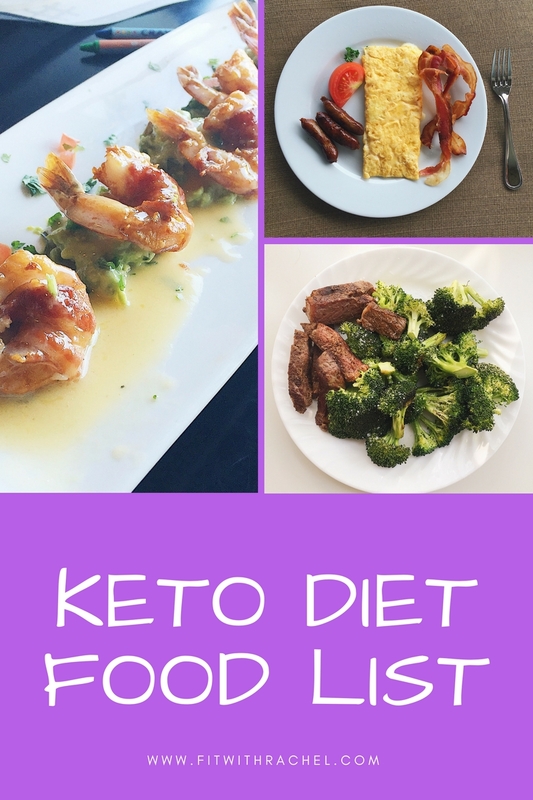 If you’re new to keto, get started with this post. 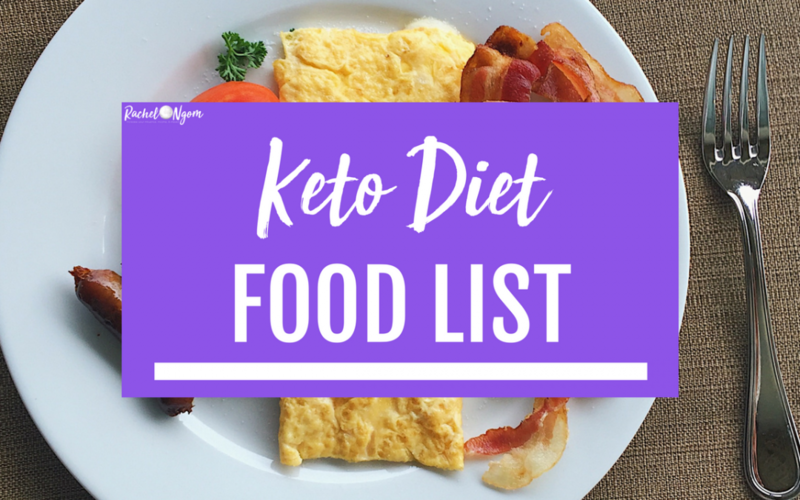 If you’re not sure what to eat on a keto diet, here’s a list for you! I always preach progress not perfection–so if you want something that’s not on this list–don’t sweat! Champagne isn’t a recommended food on keto but you better believe I’m gonna have some lol! Let’s start by talking about FAT. When eating a keto diet, you eat a LOT of fat. While pork rinds and bacon are high fat–you def want to make sure you vary your fat intake and get the RIGHT fats in your diet. Saturated Fat: Eat these!! Saturated fats have gotten a bad rap over the years, but they’re actually great for you. Some examples are grass-fed butter, ghee, coconut oil, and lard. Monounsaturated Fat: Eat these often!!!! Examples of monounsaturated fats are olives, macadamia nuts, and avocado. It’s also important to keep in mind that you need to balance out the ratio of omega 3 and omega 6 fats that you consume. The standard American diet contains WAY too many omega 6 fats and not enough omega 3 fats. Conventional meats like chicken breast are high in omega 6, while wild salmon, trout, and tuna are high in omega 3. Even though some foods are marketed as being high in omega 3 fats (like walnuts), it’s the RATIO that’s important here. Walnuts ARE high in omega 3 fats, but they are much higher in omega 6. I recommend eating most nuts sparingly (1-2 servings a day are fine) and try to stick with macadamia nuts, which are lowest in omega 6 fats. If you don’t like fish (or don’t want to spend a ton of money on wild salmon—it IS expensive), you can take an omega 3 supplement (like this one). Make sure you get the majority of your fats from the list below to have a healthy and balanced keto diet. Organic/fair trade chocolate with at least 85% cacao. I LOVE this brand. Let’s talk protein. While eating keto, you want to minimize the protein you consume, since excess protein turns into glucose in the body via gluconeogenesis. The recommended ratio is 20%, if you’re super active you can increase slightly, but I don’t suggest consuming more than 35% of your calories from protein. QUALITY matters when it comes to your protein—especially when you’re consuming animals. Your best bet is to choose pasture raised and grass-fed meat to minimize the amount of hormones that you consume. I LOVE Butcher Box—you can get high-quality grass-fed meat delivered each month. Sign up here and get the BEST bacon for free with your first box. Fish. Wild caught, fatty fish like salmon or trout is preferred. Other good options are mahi-mahi, flounder, snapper, trout, mackerel, halibut, catfish, cod, or flounder. Shellfish like crab, shrimp, scallops, mussels, clams, oysters, lobster, and squid. Nuts/seeds and nut butters. My fave nuts are macadamia nuts, followed by Brazil nuts, walnuts, almonds, and pecans. I LOVE chia seeds as well. Make sure you choose unsweetened nut butters (Jiff ain’t gonna cut it) and try to stick with almond or macadamia nut butter. Peanut butter is fine in moderation—but peanuts are high in omega 6 and are heavily sprayed with pesticides, so ensure you buy organic (I love Smucker’s natural organic). Poultry. Chicken, quail, pheasant, duck, and other wild game. Whole eggs. Try to get free range eggs from a local market, if possible. The eggs will be much healthier AND taste way better. Beef. Stew meat, steak, ground beef. Pork. Pork chops, tenderloin, ham, ground pork, and pork loin. Yes, you can have bacon too—but make sure it’s high quality without added sugar like Butcher Box bacon. Organ meats. They are SO good for you!!! Heart, liver, kidney. Other meats like goat, lamb, turkey, veal. Stick with fattier cuts. Dairy can def be a part of a keto diet, if you can tolerate it. Just try not to make dairy the star of the meal, rather focus on high-quality fats, protein, veggies, and dairy in moderation. This is coming from Miss. Cheese de la France (nickname my hubby gave me lol). Raw and organic dairy products are recommended, as well as full-fat dairy. Cheese. There are a MILLION varieties of cheese so I’m not gonna list them here, but my faves are goat, brie, mozzarella, feta, aged comté, and parmesan. Veggies. YES, you want to load up on those veggies! I’m all about eating a high quality, nutrient dense diet—which includes veggies. Some veggies are higher in carbs than others, so they should be eaten in moderation. The BEST veggies you can have are dark leafy greens like spinach or kale. Let’s talk fruit. 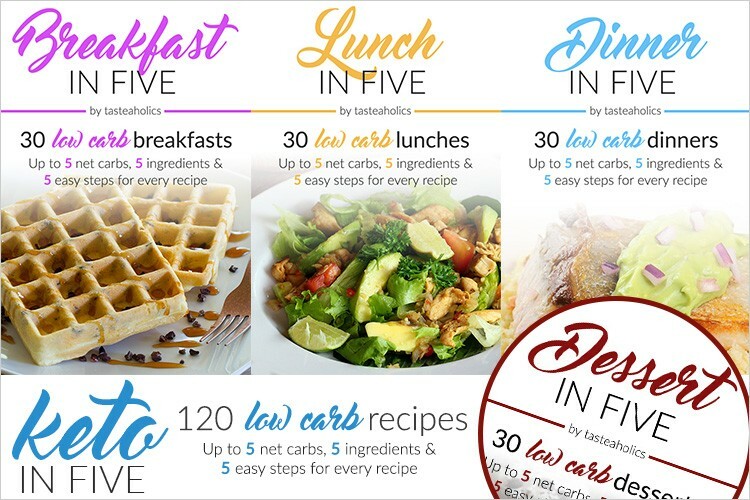 While I LOVE fruit and could down and entire watermelon in 1 sitting (true story), I recommend you limit fruit intake while eating keto since it’s high in carbs. It’s super common for people to become dehydrated when going keto since the keto diet has a natural diuretic effect. Drink your water!! BCAAs. I love my BCAAs!!! Alcohol. Ok, I should do a blog post just on alcohol choices. I don’t suggest drinking while going keto, but HELLO I like a drink every once in awhile. I stick to champagne, which is low carb/calorie, or red wine. Liquor like whiskey, tequila, or vodka is also a decent option, just watch out for juice or soda mixes. Just keep in mind that when you drink, your body stops burning fat to process the alcohol. I do NOT recommend diet soda, which can lead to more sugar cravings and insulin spikes. It’s best to make your own sauces at home so you know what’s going in it—most condiments are loaded with sugar and preservatives! Even organic salad dressings aren’t made with real olive oil since it solidifies at room temp. So there you go! 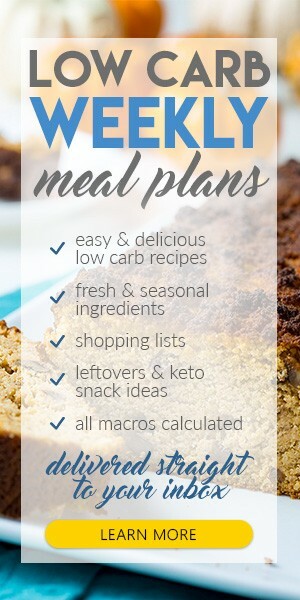 A LOT of choices and super yummy food =) If you want som help getting started, be sure to grab a copy of my free keto meal plan! 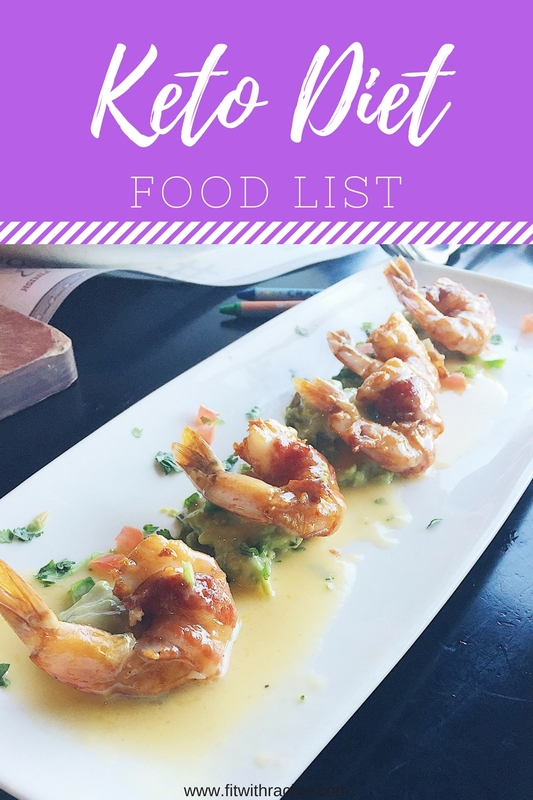 Super easy to follow and the food is SO GOOD!!! My Keto Guide is almost ready!!!! Any other fruit allowed? pears apples banana? I love to dip my cucumbers in ranch dip. Anything you suggest to try instead? Hi I’m vegetarian/vegan don’t eat eggs or fish is there any other alternatives?